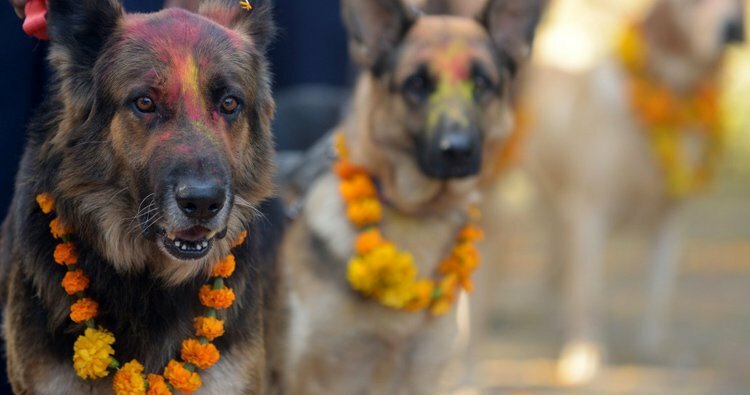 Most dog owners would do just about anything for their canine companions. 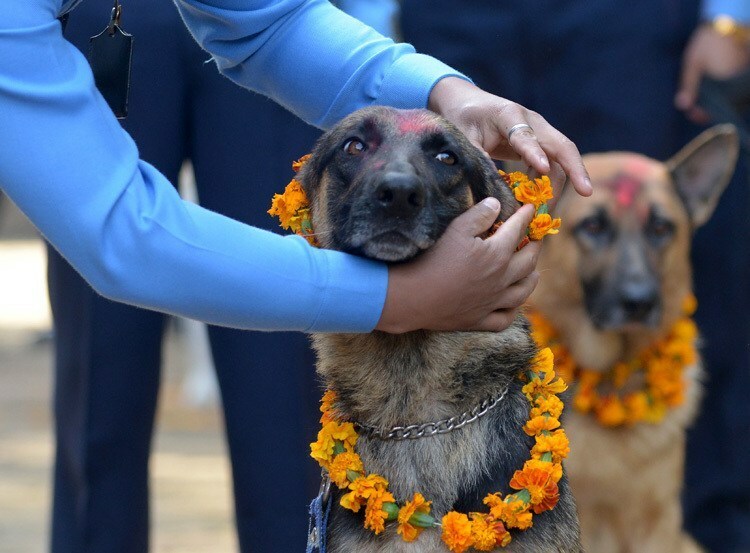 In Nepal, Hindu populations take that affection to another level. 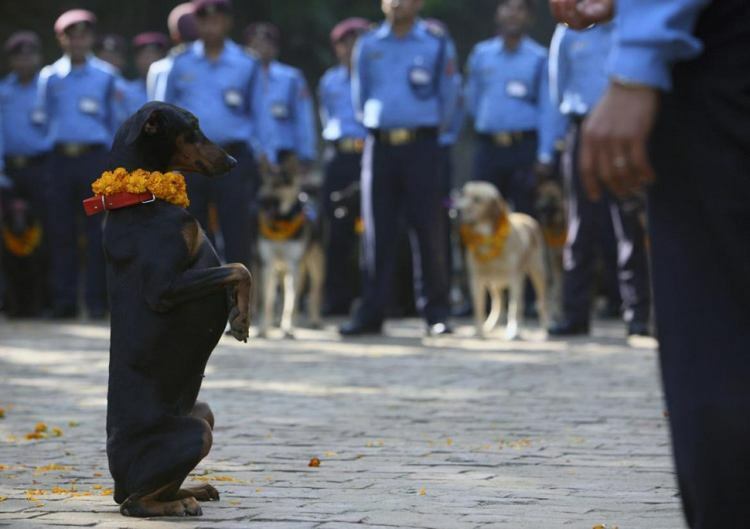 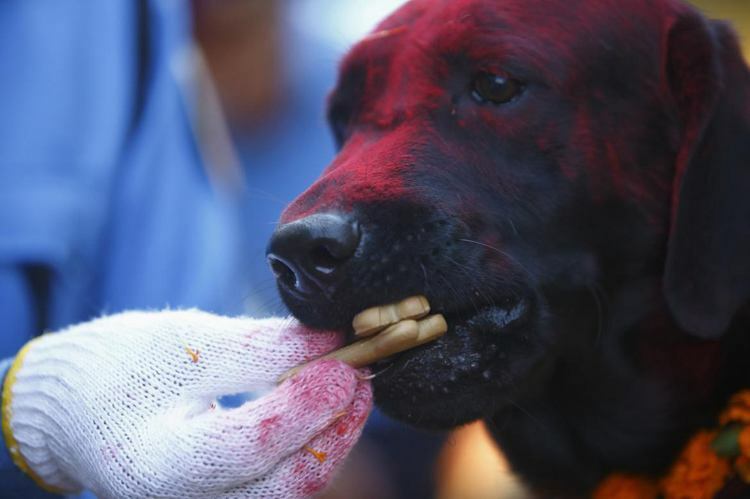 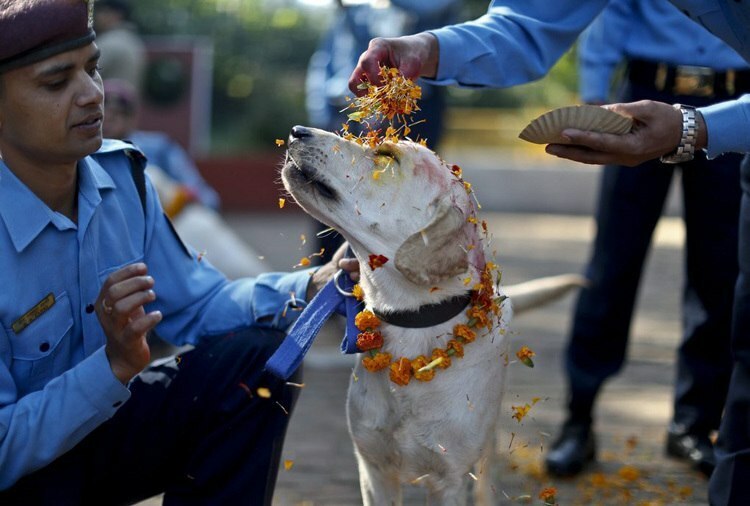 Coinciding with the traditional Hindu festival of Diwali, the people of Nepal reserve the second day of the annual five-day Tihar Festival to honor man’s best friend. 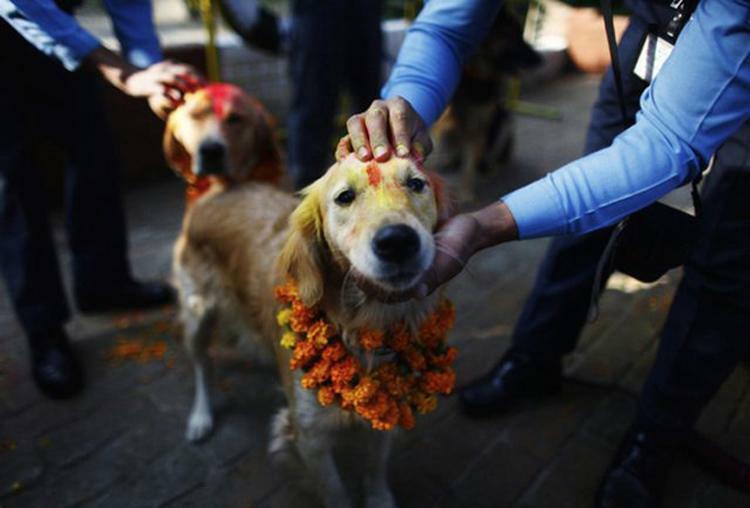 On this day — called Kukur Tihar, or “worship of the dogs” — participants pay tribute to the divine attachment between humans and their faithful, four-legged companions. 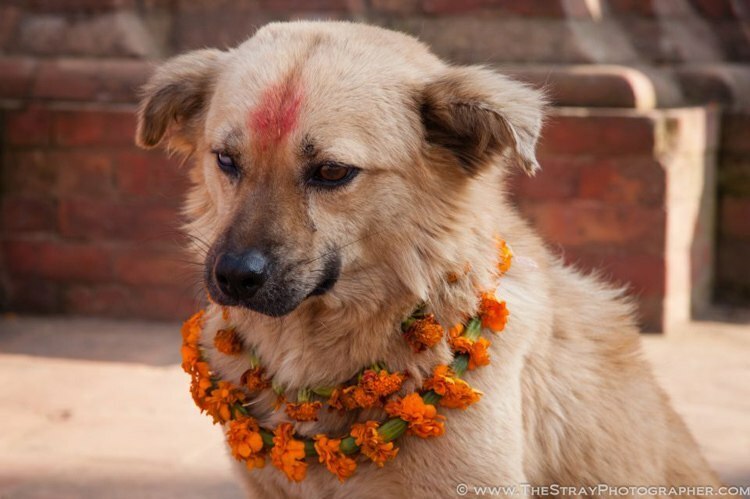 Dogs play a significant role in Hindu mythology. 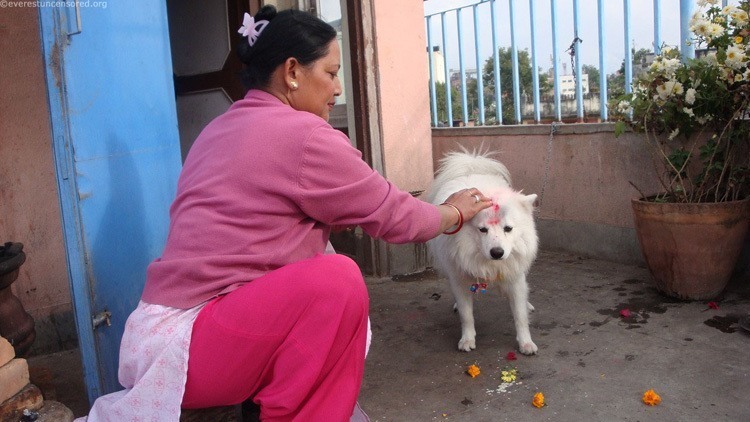 Sarama — the mother of dogs — assists the ruler of Heaven, with dogs guarding the gates to the afterlife. 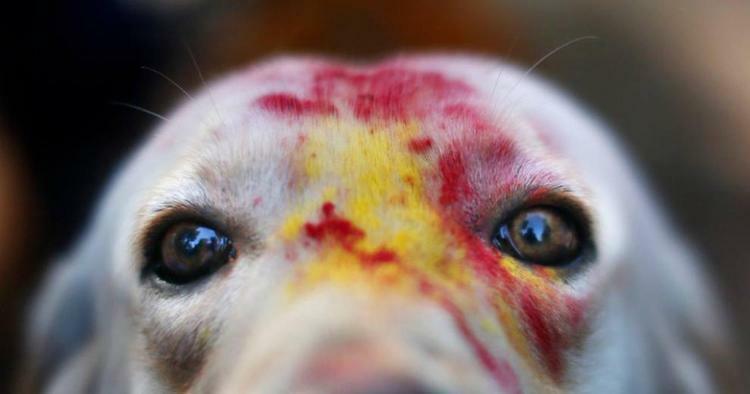 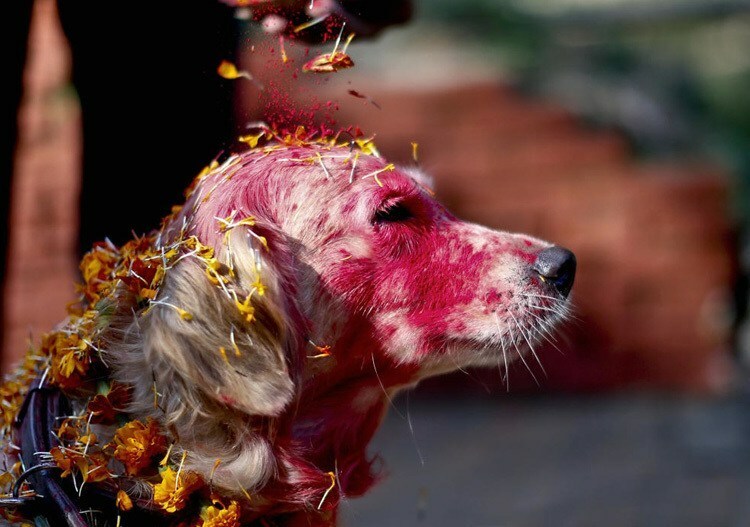 Thus during the festival, all dogs – even strays – enjoy special treats, are decorated with malla (garlands of marigold), and colorful head markings to denote their sacredness. 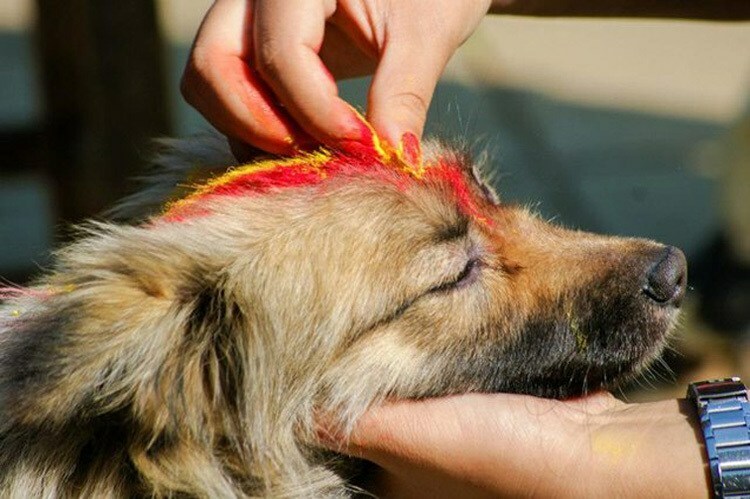 The markings, called tika, also serve to bless all who encounter the dog. 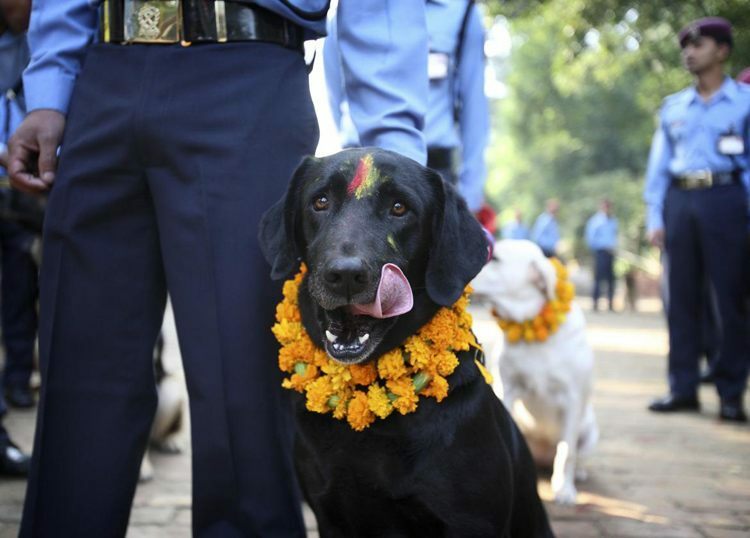 Dogs aren’t the only animals honored during the festival, though. 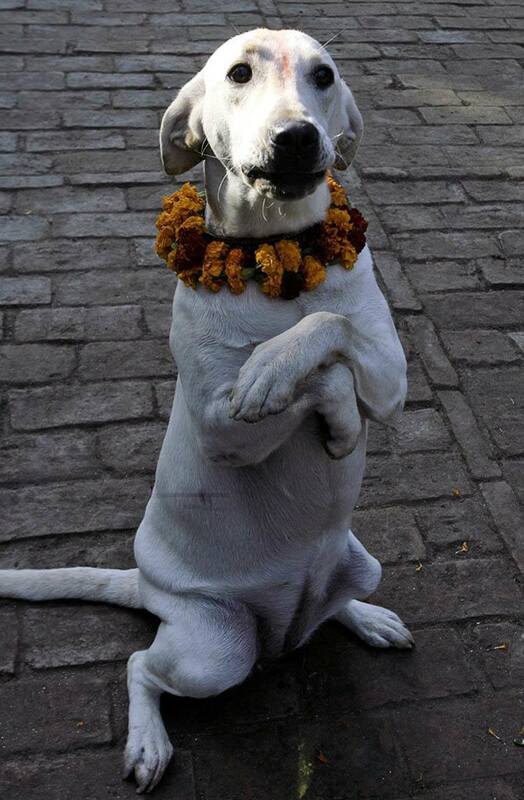 Worshipers also pay tribute to cows (which signify wealth and prosperity) and crows, to which people make food offerings in order to deter sadness, grief and to banish death from their homes. 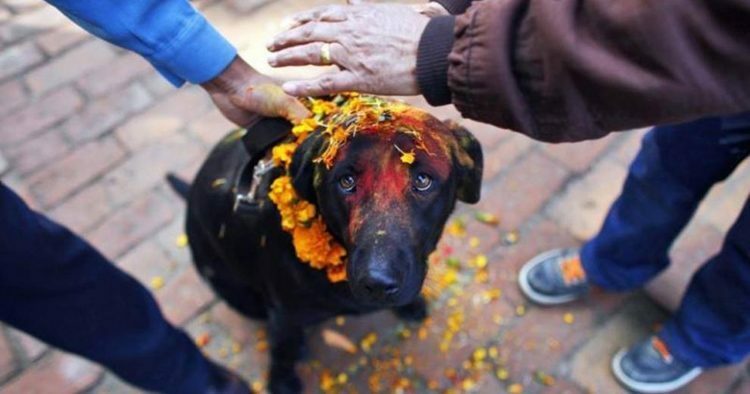 The festivals of Tihar are meant to commemorate not just the sacred bond humans hold with their creator, but also the divine in our relationships with living beings on Earth — something of which we should all take note from time to time.